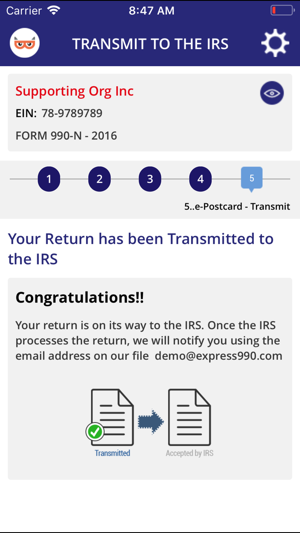 E-file your IRS Form 990-N (e-postcard) in minutes and keep your tax exemption status while on the go! 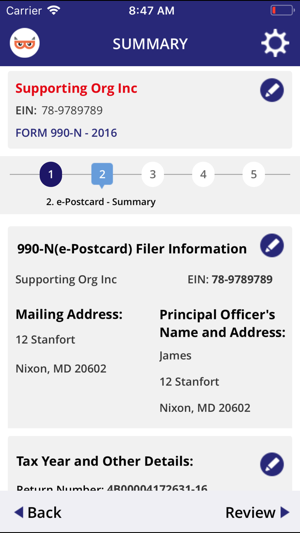 With our FREE TaxBandits- Form 990-N mobile app, it's easy to file Form 990-N (e-Postcard) for the current tax year at your convenience from your favorite iOS device. 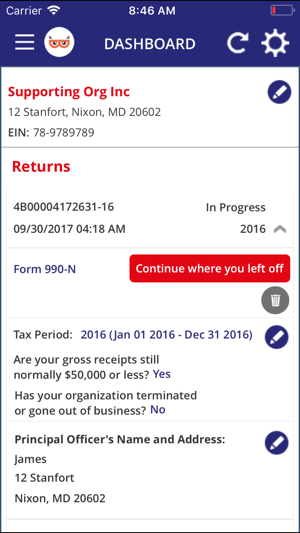 E-Filing is quick and straightforward, and you can view, download, or email your transmitted form in your TaxBandits account from anywhere. 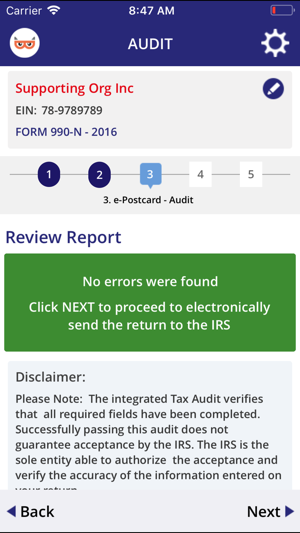 If you receive a rejected return for any reason, you can always edit and re-transmit the return for free until the IRS accepts it. You must include the official organization name recognized by the IRS along with the name of the person filing on behalf of the organization. The EIN is the Employer Identification Number, also known as your Tax Identification Number, or Tax ID. 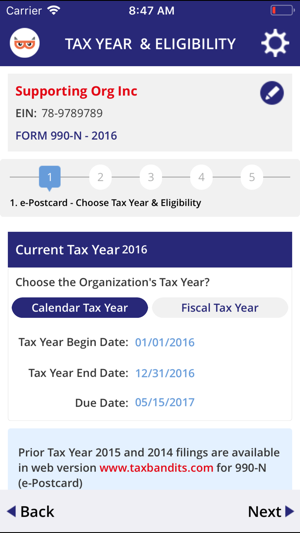 For your tax year period, select whether the organization uses a Calendar Tax Year or Fiscal Tax Year and input the dates. With a simple click, you can confirm your organization makes less than $50,000 - no exact amounts required. For any questions or assistance, our U.S. - based Customer Support Team is happy to help - contact us at 704-684-4751, Monday through Friday from 9 a.m. to 6 p.m. EST or email us 24/7 with support@taxbandits.com. 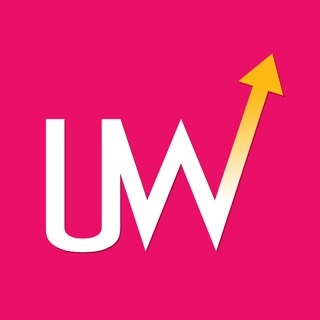 Very impressed with this app. I was able to file within minutes and receive a confirmation. Well done! Highly recommended for the small non-profit.